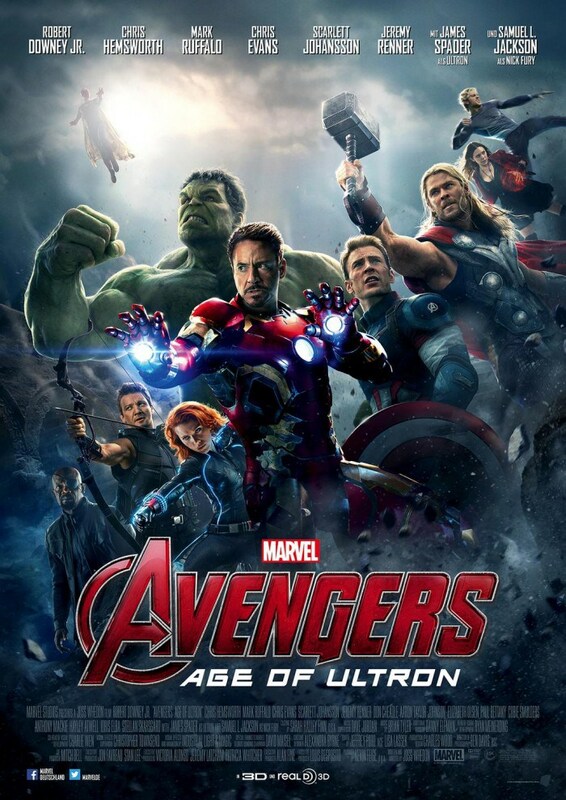 Avengers: Age of Ultron… MORE LIKE AGE OF AWESOME AMIRITE? As anyone who has read my blog knows, I’ve been waiting for this movie for at least a year now. And I am FAR from disappointed. Besides the insane success of making approximately $185,000,000 more than any other movie in the box office at the moment, Age of Ultron is so fulfilling to fans that they’ll probably be fidgeting and squealing in their seats. Okay, that might’ve just been me but I was literally dying in the movie theater. But honestly, whether you’re a new fan or an old fan or a MCU fan or a comics fan, if this movie doesn’t make you squeal with delight, then you’re either emotionless… or a critic… or both. Wait am I technically a critic? I prefer to go by critique-r. Which is not a word. Anyways, since I have no idea how to form this review seeing as the movie was too epic and I’m still slightly in shock, I guess I’ll just go with my classic list format and give you the TOP 5 MOST AWESOMELY AWESOME THINGS ABOUT AGE OF ULTRON. 1) An absolute plethora of characters. You thought Marvel couldn’t fit in all the anticipated characters without screwing up the film completely. Well, HAHA YOU’RE WRONG! Whether the characters got a lot of action time or a little bit of action time, everyone was a badass. All your beloved Avengers return (some with their respective movie partners, like Captain America with Falcon or Iron Man with Iron Patriot), along with new characters, like Quicksilver, Ulysses Klaue, Scarlet Witch, and the Vision. How Marvel managed to include them all… you’ll just have to see. 2) Character development. In terms of character development, obviously the people without individual movies got the most: Black Widow, Hawkeye, and Scarlet Witch (sorry Quicksilver you kind of got left in the dump). Black Widow’s backstory gets explored quite thoroughly, yet we still have absolutely no idea what happened in Budapest (THANKS WHEDON). Also, I hated her entire relationship with Bruce Banner, aka the Hulk – partially because I ship Clintasha but mostly because it made Black Widow seem weak. Hawkeye actually turns out to have a really nice life outside of Avenging. No spoilers, but now I’m squinting at his relationship with Black Widow in the first Avengers. And of course, new girl Scarlet Witch undergoes some intense character development… which you can probably deduce from watching the trailers. 3) ACTION TO THE MAX! The movie starts off with a fight scene and there are like 10 more fight scenes and literally 2/3rds of the movie are fight scenes. There’s individual badass-ness and TEAMWORK EPICNESS. There’s slow-motion and explosions and basically everything you could ever wish for. 5) References to past films and illusions to future films. Marvel is very good at referencing their own films explicitly but not explicitly enough to make it sound like an advertisement. Of course Marvel had to reference past films because, you know, if you were Marvel then you would never stop talking about your achievements. Falcon mentions the search for Bucky, Captain America references Natasha’s “flirting,” and of course the entire movie is just an allusion to the first Avengers. Duh. Marvel also never fails to allude to future films. The rising tensions between Iron Man and Captain America, along with (SPOILERS!) the appearance of new Avengers (Scarlet Witch, Iron Patriot, Falcon), all lead up to Captain America: Civil War. Thor has some visions which set up for Thor: Ragnarok (let me tell you, they are not good visions). Black Panther is alluded to when the Avengers go to Africa to find a supply of Vibranium. And of course, all the mentions of the infinity stones (or gems or whatever) lead up to the main event of the MCU, Marvel’s INFINITY WAR!!!!!!!!! And thus ends the Avengers as we know it (SO MANY TEARS). But never fear! Ant-Man is about to close up the Marvel’s ultra-successful Phase 2, and Phase 3 promises the arrivals of Black Panther, Captain Marvel (who’s actually Ms. Marvel), Doctor Strange, and the Inhumans. The Guardians of the Galaxy also join together with the Avengers for the Infinity Wars. And of course, Marvel’s new partnership with Sony finally, FINALLY brings Spider-Man into the canon MCU. ARE YOU PREPARED FOR THIS? I’M NOT! LET’S DO IT!